Come celebrate the crowning of our 2018 Champions for Beech Bend Raceway and Music City Raceway! 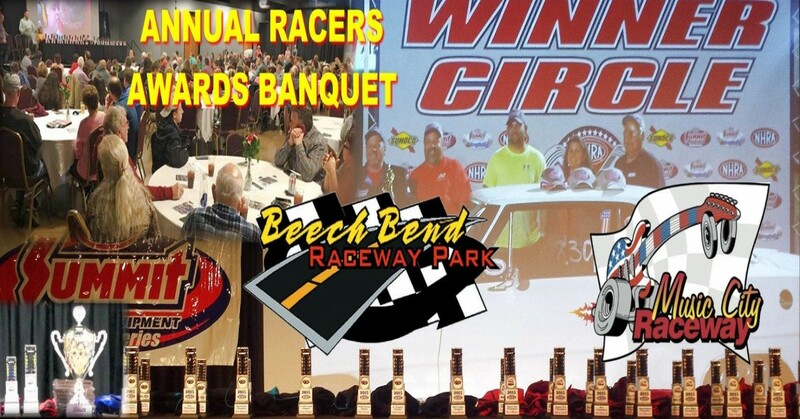 Come celebrate the crowning of our 2018 Champions for Beech Bend Raceway and Music City Raceway plus recognition of the recipients of special balloted awards in several categories. The evening includes a delicious buffet dinner with several dessert choices, BYOB, a slide show tribute to the 2018 season and lots of fantastic door prizes!